3Play Media offers a Streaming Video Service, that makes it easy to share content uploaded to your 3Play Media project, along with an interactive transcript. Here is more information about the interactive transcript. This feature gives users the ability to share videos, along with an interactive transcript to people without account access, should they need to quickly review, and/or watch your transcribe content. The Streaming Video Service, is subscription-based, and costs $49 per month. Contact your 3Play Media account manager to activate this service. Follow the steps below to share your videos along with an interactive transcript to those without 3Play Media access, using the Streaming Video Service. Lastly, Content Publishing must be enabled before using this feature. 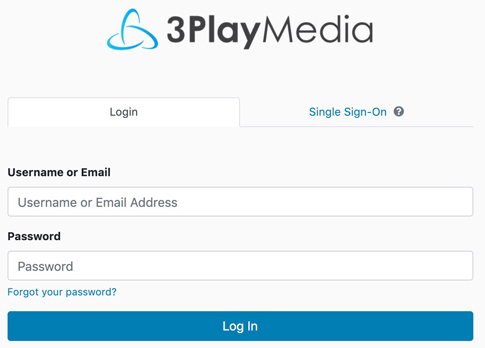 Open a new browser window and log into your 3Play Media account. Click Settings located at the top right-hand corner of the account page. 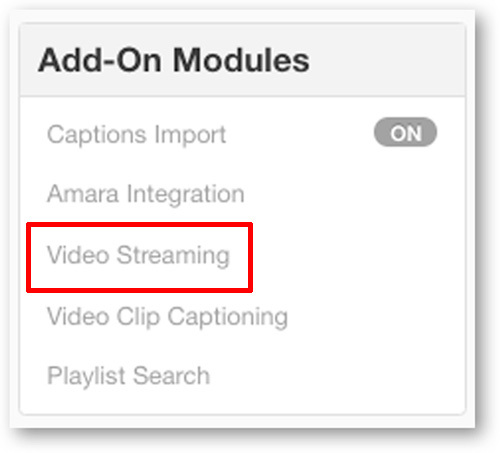 Scroll down and click Video Streaming, located under Add-On Modules. From the My Files page, locate the file you want to stream. Click the file's name to open the file level actions menu. 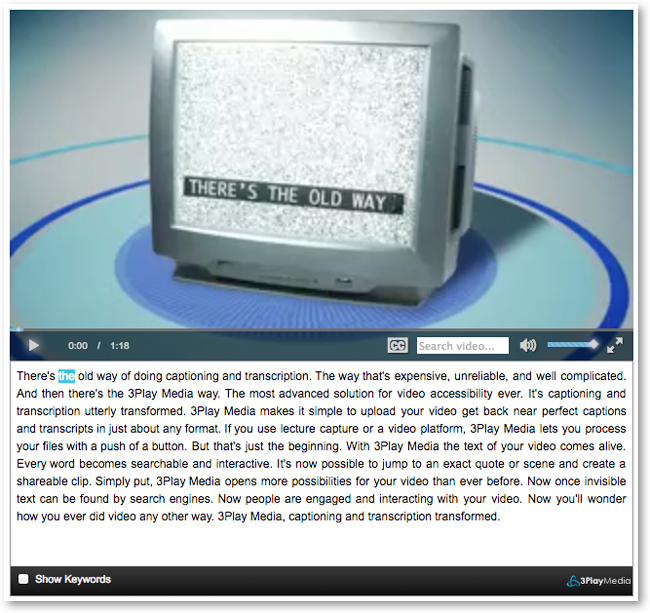 Click the Publish button located above the transcript, and from the drop-down menu that appears, click Publish Video. Here is an example of what the video will look like, complete with interactive transcript. You can immediately share this video and interactive transcript via a link. Follow the instructions below to make a shareable URL. Below is an example of a streaming video embed code. Remove the text that is in bold below to make a shareable URL. You can now share this link with others.